Musanze is a city nearest to Volcanoes National Park in Rwanda, its other, old name is Ruhengeri - both describe the exact same town. It takes just over 2 hours to get there from Kigali, however we drove there from Gisenyi, Lake Kivu. The road was great! Gorillas trekking in Rwanda's Volcanoes National Park is just one of many things to do in the area of Musanze (Ruhengeri) - there are plenty of other activities to choose from for every budget and every need. Actually, when thinking of what to do besides gorilla trekking in Northern West Rwanda, we had trouble finding information. Also, because of that, we had a hard time planning. That’s why we decided to just go there, do some research and share with you what we found out - we love travelling independently and we would love to encourage you to do the same. If you’re staying in Ruhengeri (Musanze), check out where we slept, where we ate and what we did - you may like it as well, simply scroll down. If you’re in the area for just a day, or with sole purpose of visiting Rwanda's Volcanoes National Park, read our post about booking your tickets & permits to the park, prices and useful information, as well as activities to do in the park besides gorilla trekking. Whilst in Musanze (Ruhengeri), we had a pleasure of staying at Five Volcanoes Hotel. Although it’s not a budget accommodation, we think that with all of its facilities and a full board menu included in the price, it’s definitely worth staying there. Five Volcanoes Hotel is situated only a 10 minutes drive from the headquarters of Volcanoes National Park, which makes it super easy if you want to do any of the parks’ activities, whether it’s gorilla trekking, golden monkey tracking or visiting Dian Fossey's tomb. We stayed in Five Volcanoes Hotel for 3 nights and we can’t tell you enough how wonderful it was to sleep in an enormous comfy bed and eat our meals in their open dining area overlooking the Sabyinyo, Gahinga and Muhabura Volcanoes! Their delicious and broad menu was obviously not the only plus. The little details definitely made our stay one of a kind! The bush babies filled with warm water brought to our bed in the evening… The sheets and laundry smelling super fresh…The small fireplaces by each table during dinner time to keep us warm… The friendly staff who notices when your shoes are muddy and cleans them to perfection so they’re ready for the next day’s adventures… The weaver birds building their nests whilst you’re nibbling on your breakfast… do you get us now?! Everyone knows that the attention to detail makes or breaks a place, and the staff of Five Volcanoes have it sorted to perfection. If you’re on a limited budget, you may consider staying at Red Rocks which describes themselves as ‘a backpacker hostel’. We decided not to stay there after our short visit to Red Rocks left us disappointed. We had high hopes about Red Rocks - they're on Rwanda Development Board’s map (RDB is a tourist board of Rwanda). They’re described as the local crafts centre and their website boasts all the activities that you can do around their campsite and hostel. We made our way there excited to see the crafts, hear about their community tours and possibly stay for a night (advice: don't follow the Google Map directions as they will take you the wrong way, follow the road from Ruhengeri (Musanze) to Nyakinama instead and you will see a sign on your right directing you to Red Rocks). Unfortunately we quickly moved on after visiting them. There was indeed a shop with a few crafts but we're not sure it can be called a crafts centre. We really wanted to try their beekeeping tour but we learnt it would be 70 USD for us both to go for one hour to the beehives located within their compound... we felt that was a bit pricey for a backpacker's budget. Their only budget option was either renting their tent for 10 USD a night or sleeping in your own one for 6 USD (even though their website states that sleeping in your own tent is 7 USD per person…). We left confused and felt like the staff took advantage of us not knowing the prices (which we quickly checked online afterwards…) and gave us incorrect information. Nonetheless, sleeping in a tent there is a cheap accommodation option - their grounds are nothing special, but a garden with grass, but if you’re not too fussy, this should do for you. Just make sure you’re aware of the prices so you’re not overpaying! We actually got to the town during lunch time and we stopped at Muhabura Hotel to get some food. The hotel is quite known in the area since Dian Fossey used to stay there (in case you don’t know - Dian Fossey was a conservationist who took the gorillas’ protection to the next level). We didn’t see the rooms, but the lunch we had wasn’t too good - we actually wouldn’t recommend eating there. The food was nothing like described in the menu, and it was quite pricey, definitely not worth the price. On another occasion we got to visit Migano Cafe. We were really surprised with the quality and size of the dishes, plus they were super delish. The choice was quite big - you could try some local delicacies, as well as Italian food, burgers, smoothies and coffees. Everything was priced reasonably and a good WiFi connection was a plus. When leaving Ruhengeri (Musanze) to go to Rwanda’s Twin Lakes (stay tuned for our coming story!) we stopped in to Cafe Crema. Their Rwandese-grown coffee was extremely delicious and we also took take-away bagels to eat on the way. They were very good! We didn’t stay there for too long, but the atmosphere inside seemed to be cosy and we liked that there were plenty of recommendations on things to do in the area. If you want to enter Rwanda's Volcanoes National Park, you will need to buy a ticket/permit to one of its activities. Volcanoes National Park is known mainly for the gorilla treks during which you can track one of the 8 Rwandan gorilla families (Karasimbi, Susa, Umubano, Amahoro, Sabyinyo, Agashya, Hirwa and Kwitonda). However, with its very high price of 1500 USD per person, many people choose to track gorillas in Uganda (approx. 400-600 USD per person) or Congo (approx. 200-400 USD), or choose to do other activities in the park, that are approx. 10 times cheaper than gorilla treks. For prices and advice on booking, head to our Volcanoes National Park Post. Volcanoes National Park has so many more wonderful things to offer besides gorillas. There are a variety of treks and walks to choose from. You can visit Dian Fossey’s Tomb, get up to Mount Bisoke and its crater lake or visit Buhanga Eco-Park where you can camp and observe birds. If you really want to see monkeys but can't afford gorillas, try tracking golden monkeys. Another option for a unique experience is spelunking. Little did we know that Rwanda has over 50 caves and some of them are open for tourists. There are some caves that are operated by RDB and many more that aren’t. We were very interested in visiting the caves and made our way to the RDB office in Musanze (Ruhengeri) to book the tickets (you can’t book tickets to the caves online). Unfortunately, after finding out that the entrance costs 50 USD per person and a visit to the cave lasts 1 hour, we decided to first try the caves not operated by RDB (Rwanda's Development Board) to see whether we even liked it. The cost of the caves not operated by RDB was 5000 RWF per person (approx. 6 USD). We informed an RDB official that we may book their tour to the RDB caves the next day, but first we will visit the cheaper caves, not operated by RDB. To our surprise, the official threatened us that caves not operated by RDB are illegal… even though they’re featured on an official RDB map. In the end, we did visit the 'illegal’ caves, ensuring earlier that they are indeed ‘legal’ - we absolutely loved them! A day later we had a chance to chat with a local person who said that the RDB operated caves are ‘prepared’ for visitors complete with concrete floors and that we didn’t miss anything by not going to them. We’ll never know but we really loved the caves we did visit and you can read more about them and how to visit them in our Rwanda’s Caves post. Gishwati Forest is a newly declared national park, but RDB (Rwanda's Development Board) has not yet started tourism in Gishwati. The organisation taking care of the forest, Forest of Hope, recently produced a Gishwati-Mukura National Park Tourism Guidebook that has been approved by RDB but is yet to be published. Gishwati Forest has a population of chimpanzees and golden monkeys. Once it's opened for visitors, it will have a variety of hikes on offer, including a waterfall hike. So stay tuned and visit their website to see if they've been opened for tourists! We wrote about Imbabazi also in our Lake Kivu post: it used to be an orphanage and it is now home to a kindergarten and a small museum. It’s a beautiful cottage house with vast flower gardens placed in Rwanda’s countryside with a view on the Karisimbi, Mikeno and Nyiragongo volcanoes. It’s about 1 hour drive from Musanze (Ruhengeri) and you can get there yourself if you’re driving or you can organise a motorbike to take you there. The views on the way are simply stunning and it’s hard to imagine what awaits you at the end of your drive, since you’re driving through areas that feel quite remote. The house used to belong to Rosamund Carr, who after the Rwandan Genocide, opened her doors to the children looking for a home. 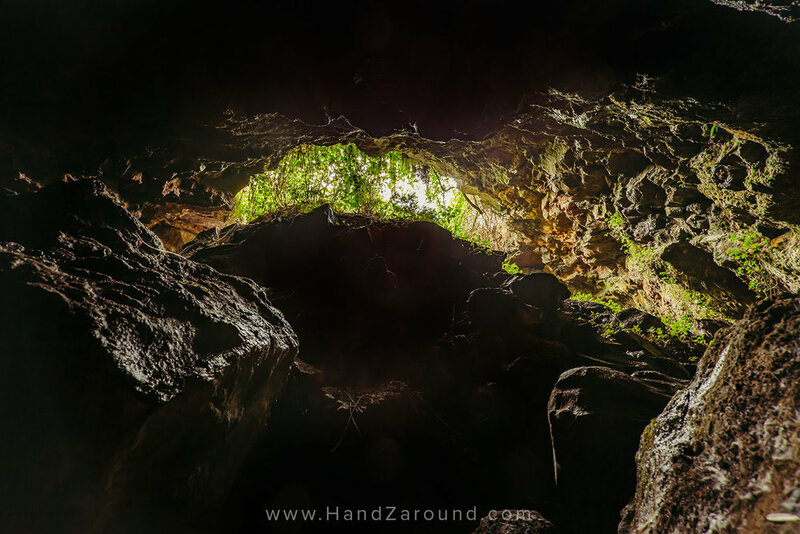 Nearby you can also visit a Mugongo cave (more about it in our Rwanda's Cave post). You can find out what we liked, what we didn’t like and what you can expect at Imbabazi in our post here. Ruhondo and Burera lakes are called Rwanda's Twin Lakes. They lay right next to each other and although their not identical, they are very similar. Both of the lakes are accessible by only a 20 minute drive from Musanze (Ruhengeri) and are definitely worth a visit. For spectacular views you can either call earlier and book a coffee or lunch at Virunga Lodge (expect it to be pricey!) or call Foyer Du Charitie and make your way there for an unforgettable view. You can read more about our short road trip around the twin lakes and find advice on visiting them in our Rwanda's Twin Lakes post. We run out of time to visit this cool looking place, but maybe you will be more lucky. Umuzabibu Mwiza - Handspun Hope is a project where local women 'participate in the age old craft of spinning yarn from the fleeces of their own flock of Merino sheep'. They do everything by hand and use only natural dyes to add colour to the yarn. We got to Musanze by car. We drove about 1h15min North from Gisenyi, and it should take you about 2 hours to drive from Kigali. The roads were of a wonderful quality the whole way and the views, as everywhere in Rwanda, are simply stunning. Our car, Toyota RAV4, cost about 30 USD per day, which was such a better value for money than the car we hired to go around North of Kenya! If you're interested in renting a car for a cheap price, we wouldn't recommend going through any Rwandan or international car agencies in Kigali. You can simply ask moto or taxi drivers or if you went for any city tour in Kigali, ask your guide if he has any friends who are willing to rent their car. We don't have that much information about the buses in Rwanda as we only arrived to Rwanda by bus from Uganda (which was so much more comfortable than crossing the border of Ethiopia and Kenya by bus!). We chatted to a bunch of expats and backpackers who we met and they told us the local buses' quality is quite good and they're on time most of the time. If you're leaving from Kigali, make your way to Nyabugogo Bus Station - this is a major bus hub (which even has its own radio station!!!). There you will find buses leaving towards all the directions of Rwanda. They shouldn't be too expensive. We paid 12,000 RWF per person to go all the way from Kigali to Kampala, so a 3,5 hour ride from Kigali to Gisenyi will surely be much much cheaper. This post contains affiliate links, which means that if you book your accommodation through our links, we will earn a small commission fee. It doesn't affect the price you pay, and we get to sustain our website thanks to these small earnings. We were guests of Five Volcanoes Hotel but as always all opinions are our own. Did you like it? Pin it for later!